IMPORTANT: All patients under 18 must be accompanied by a parent or guardian during their visit. If you are getting a complete exam, your eyes may be dilated and you may need an adult to drive you home. 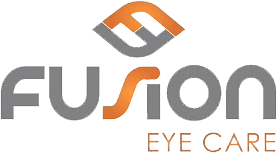 Fusion Eye Care has grown because of our patients’ kind referrals. We encourage you to recommend our office to your family, friends, and co-workers. We always have time to care for a new patient.